The housing market is back on the rise, which means you can finally start thinking about selling your home. However, this also means that everyone else that has wanted to sell their home the last few years but couldn’t, because of the poor housing market, will also be looking to sell. So how do you make your home stand out amongst the competition? How do you catch a potential homebuyer’s eye? You only get one opportunity to make a first impression, so you better make it a good one. And one of the best ways to accomplish this is to rebuild your old, rickety fence. Many potential homebuyers will be put off by a fence that is in disrepair. 85% of homebuyers will view your home online before even thinking about visiting your home in person. Will they be put off by your rickety fence? 10% of potential homebuyers cannot see the potential of a home. This means that they will see your home (and your rundown) fence as it is…not as it can be. Homebuyers make up their mind as to whether or not they will buy a home 30 Seconds after they first see it. So what kind of first impression is your home giving off? Improved curb appeal may increase your home’s resale value by as much as 15-20%. 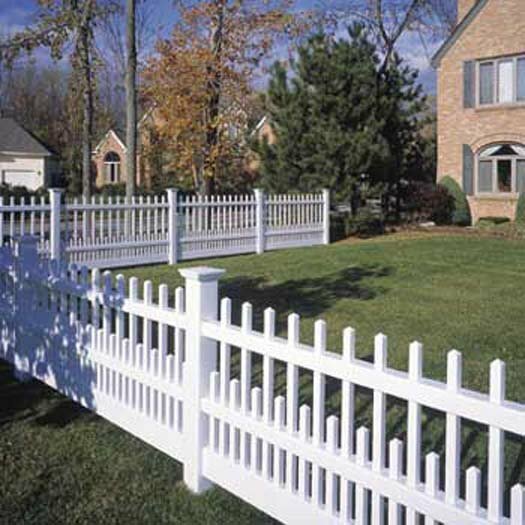 So do yourself a favor and call Freedom Fence & Home today and inquire about installing a new fence. At Freedom Fence and Home, we provide a high quality wood, vinyl, chain link, and aluminum fences in the Baltimore – Washington Metro area. We do not use subcontractors and stand behind our work. And because we are a smaller company, we will be more focused on addressing your needs. Plus, you will not be paying big company prices. That’s what we call a win-win! This entry was posted on Wednesday, January 16th, 2013	at 10:40 pm	. Both comments and pings are currently closed.